UPDATED: Wed., Dec. 5, 2018, 4:26 p.m.
PHOENIX – The St. Louis Cardinals struck gold in their search for a big hitter, acquiring slugging first baseman Paul Goldschmidt in a blockbuster trade with the Arizona Diamondbacks on Wednesday. “We’ve been busy this offseason working to upgrade our lineup, and today we are excited to announce the acquisition of one of the game’s premier players,” Cardinals President of Baseball Operations John Mozeliak said in a statement. St. Louis went 88-74 last season and felt it needed a boost in the middle of a lineup that includes Matt Carpenter, Marcell Ozuna and Yadier Molina to compete with the likes of Milwaukee and the Chicago Cubs in the NL Central. The Cardinals’ postseason drought is their longest since 1997-99. Free-agent slugger Bryce Harper has supposedly been on the Cards’ wish list, too, with the winter meetings coming up this weekend. Last offseason, the Cardinals had worked out a deal with Miami for NL MVP Giancarlo Stanton, but he refused to waive his no-trade clause. “There are decisions you want to do and there are decisions you know you have to do,” Hazen said. He said he understood fans’ disappointment. Despite an awful start to last season, he bounced back to once again become a powerful force. 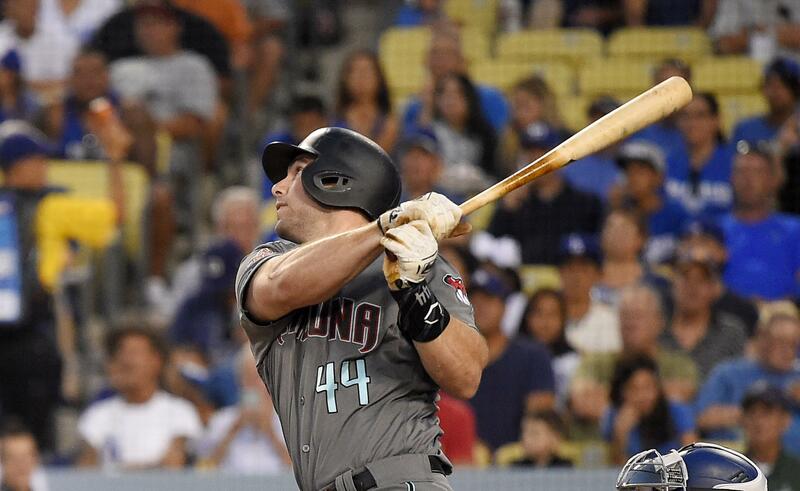 Goldschmidt was the Diamondbacks’ franchise leader in slugging percentage and on-base percentage. Hazen said it’s premature to say Arizona is in a full-scale rebuilding mode, noting the team still has plenty of talented players. Published: Dec. 5, 2018, 2:36 p.m. Updated: Dec. 5, 2018, 4:26 p.m.